Bed Bugs are small parasitic insects. Unfortunately, any home can be infested with bed bugs at any time. Exterminating bed bugs is no easy task. Identification is no easy task either. If you think you may have an infestation, please call us immediately! Also, read on for more information information on how to get rid of bed bugs. These guidelines must be followed to ensure the success of bed bug extermination. Bed bug treatments require both quality pest control and cooperation from the tenant or home owner; therefore, it is imperative that the customer follow each guideline due to the difficulty of eliminating bed bugs. The good news is that you no longer have to “throw-away” your mattresses and cloth furniture! You’ll need to get bed bug mattress covers fir mattresses and box springs. Also, clean off ALL kitchen counter tops, placing all items in plastic bags (Close Bag Tightly) and set in Garage or on the floor. After treatment, wipe down ALL counter tops with hot soapy-water. EVERYTHING Must be laundered, AFTER, the treatment! This includes all bedding (comforters, bedspreads, blankets, pillows, sheets, etc. ), curtains, clothing in side dressers, and inside closets (includes Hang-up clothes), clothes on floor, rugs, and stuffed animals. All items are to be put in ;are plastic bags and tied securely and left in rooms being treated. After treatment – bags are to be taken directly to the laundry mat in order to keep from a re-infestation. When items are removed from the bags – the bags should be disposed-of immediately. Wash ALL ITEMS in hot water and dry in a high heat dryer for at least an hour. Heat is what kills the bed bugs. The idea is to reach 120 degrees for at least an hour. Anything that can be removed or discarded such as cardboard boxes, shoe boxes, paper or plastic bags, newspapers and magazines should be thrown away. 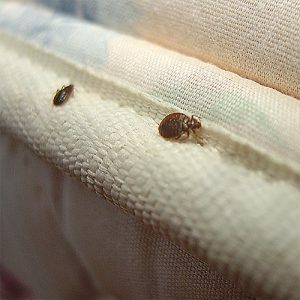 By removing unnecessary items from a room there are fewer places for bed bugs to harbor and lay eggs (thus making the probability of eliminating them increase dramatically). If technician deems that a complete treatment is inhibited by stored items stored, then Mike’s Pest Control reserves the right to not offer a guarantee of treatment. It is imperative that customers DO NOT TRY to Treat Bed Bugs themselves. Over the counter products can and will kill bed bugs. They also force the bed bugs to move to new areas of the room or home causing the infestation to become worse instead of better. Mike’s Pest Control has the right to not offer a guarantee if this guideline is not followed. DO NOT TREAT BED BUGS YOURSELF! * Tenant or homeowner Must be Out of the unit or house for at least 48 hours after professional treatment! As always, please call us at 918.423.2458 with any questions or concerns that you may have.